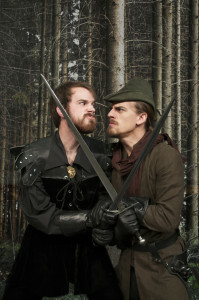 The John Brown University Department of Music and Theater will present Larry Blamire’s “Robin Hood,” a comic version of the Nottingham legend, in the Berry Performing Arts Center on Feb. 20-23. Thursday, Feb. 20, and Friday, Feb. 21, at 7:00 p.m.
Saturday, Feb. 22 at 1:00 p.m.
Sunday, Feb. 23 at 2:00 p.m. Ticket prices are $12 for adults, $10 for senior adults, $8 for non-JBU students and $3 for JBU students. Tickets can be purchased online at www.jbu.edu/tickets, or by calling 479.524.7382.